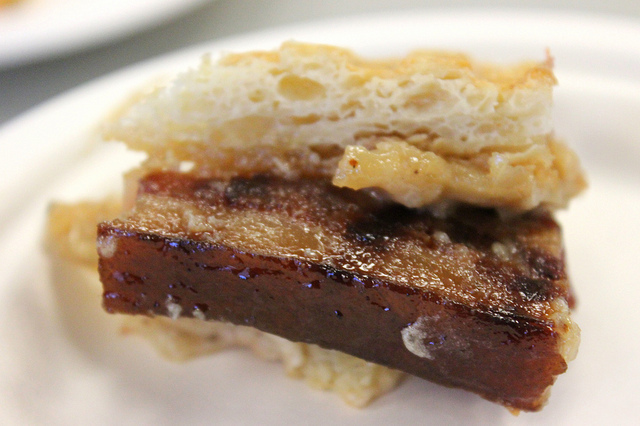 The rumours of bacon&apos;s death have been greatly exaggerated by the food media for years. Oh the Schadenfreude they must have felt during last fall&apos;s worldwide bacon shortage prediction, which proved to be "hogwash". "Long live bacon!" 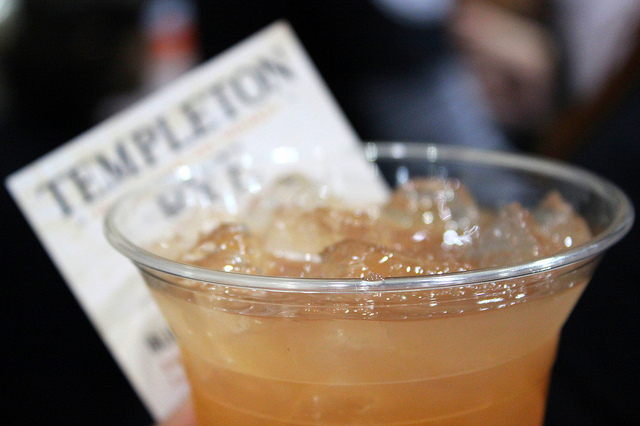 was the implied collective cry at the fifth annual Baconfest Chicago held Saturday at UIC Forum. Manifested as bacon eats and drinks from 128 restaurants, this year BFC donated $50,000 to the Greater Chicago Food Depository. As always the 3,000 attendees themselves delivered with thousands of pounds of donation food too. I was back as a judge for the coveted Golden Rasher award for the chef&apos;s "Most Creative Use of Bacon" at the lunch session, again with the Chicago Reader&apos;s Mike Sula. This year we were joined by Alinea, Next, and Aviary co-owner Nick Kokonas; Food Network&apos;s Sandwich King Jeff Mauro, and LTH Forum co-owner Ron Kaplan (aka ronnie_suburban). 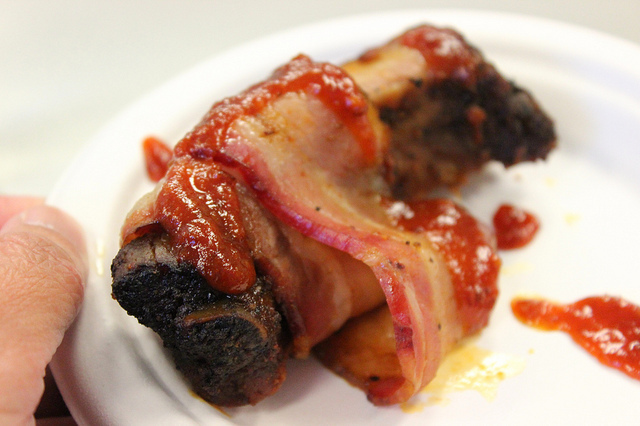 We each hit the floor on our own to taste 13 dishes then convened back in bacon judges&apos; chambers to confer. Our general consensus: a lot of great dishes, many of which we wanted more — but creative? 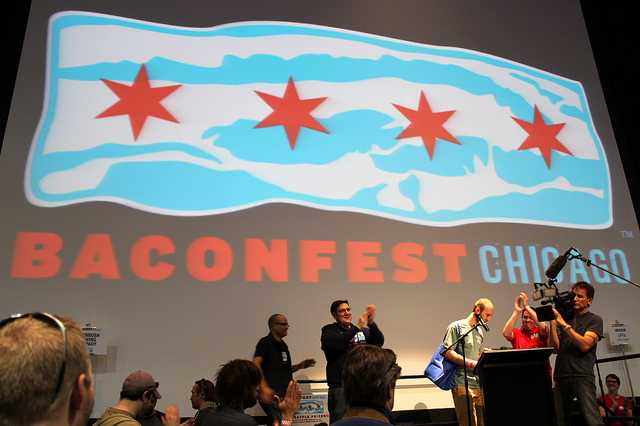 This says more about how high we&apos;ve raised the creative bacon bar, especially in Chicago. Bacon donuts? Been there. Bacon ice cream? Eaten that. Bacon powder made with rendered bacon fat and tapioca maltodextrin? Made that. We&apos;re a tough crowd, as a city, and especially in that room Saturday afternoon. A well deserved kudos to all. 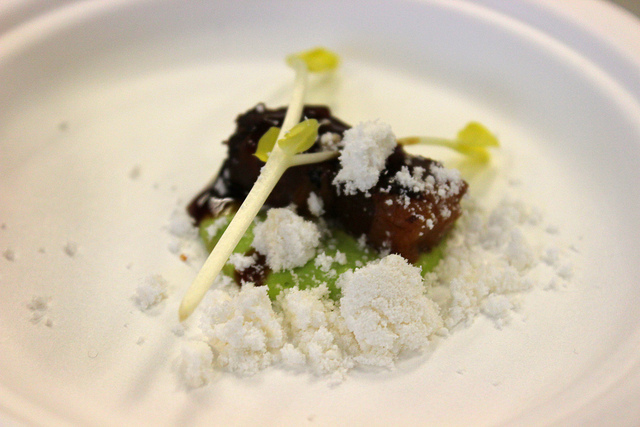 In the end, the Baconfest 2013 Golden Rasher award for the chef&apos;s "Most Creative Use of Bacon" at the lunch session went to Chef Joseph Rose at Lockwood for his slow poached egg, bacon ragout, bacon dashi, and nori. Rose just took over at the historic Palmer House hotel last October, which lost its critical heat when EL Ideas chef/owner Phillip Foss left way back in 2010. Lockwood just re-opened April 7 after a two-week makeover. 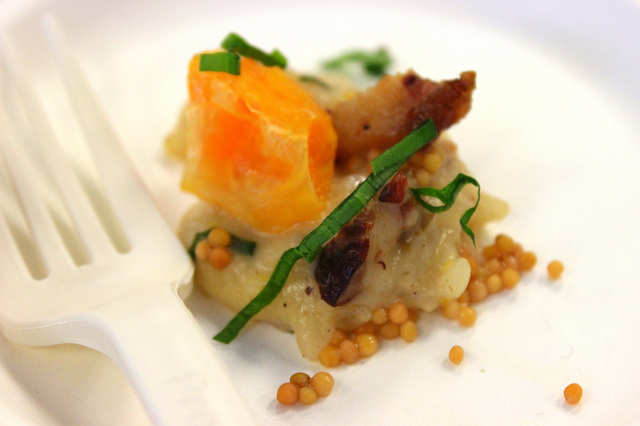 While the Golden Rasher award may be mostly fun, Rose&apos;s dish impressed my room of serious judges. 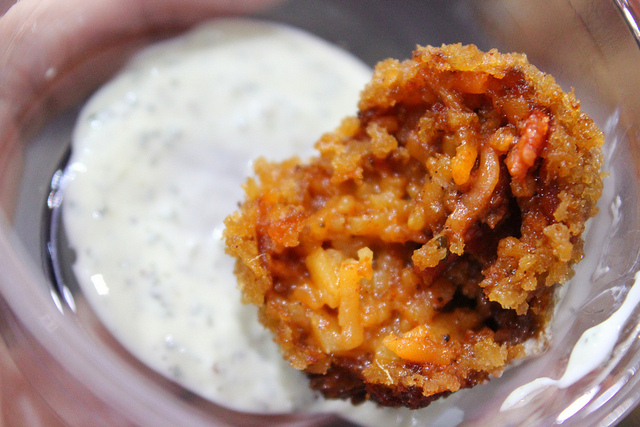 Last year&apos;s winner, Red Butter chef/owner Monica Sharma was back, this year with a tandoori bacon arancini and mint raita. Sharma has since held a series of successful pop-up dinners. 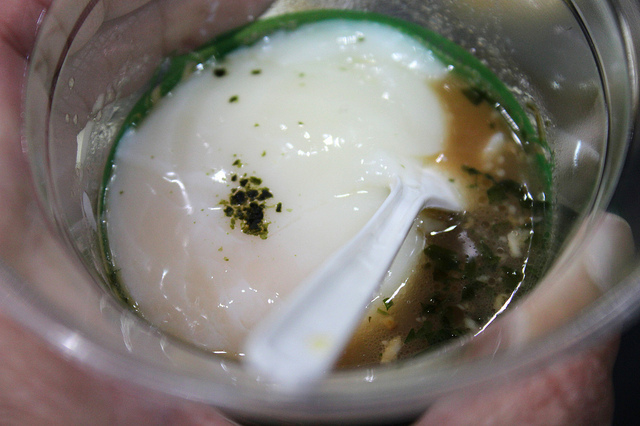 With this one perfectly executed hot, crunchy, creamy, and complex bite, we had a winner indeed.